It’s no secret that many police officers feel like they don’t have as much support from the public as they once did. Many blame this on “anti-law enforcement zealotry,” the media, and a host of other antagonists, both real and perceived. In San Francisco, the union representing rank-and-file police officers felt like they had to fight back, so they produced a radio ad and bought air time, so it could be heard by both police supporters and critics alike. Gary Delagnes, who used to be the head of the police officers’ union, recorded the ad. 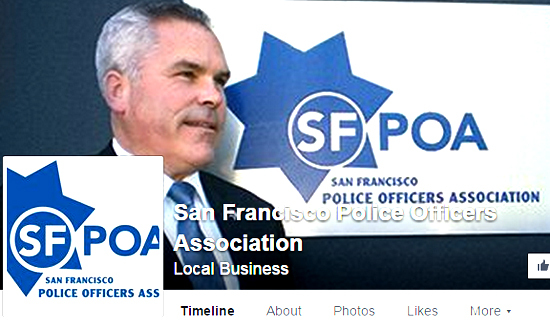 It’s unclear if the ad will help defuse and deescalate tensions or add to them, but whatever the case, the San Francisco Police Officers’ Association is speaking out. No doubt about it. Here in Chicago, we don’t have any friends in the media, printed or broadcast. If there is, we don’t see them, and they’re not allowed comment. I was told by our Union that even the ones we thought we had are not on our side. I recall during the Rodney King days in the early 90s’, even some of our own officers were in agreement with media sources. Without hearing ALL the facts from both sides, it is understandable how some could be swayed by the clever tactics used to give impressions you might not already have. But once you do see the other side of the story, you might even be angry. I know I was. One exception to this was Court TV which broadcast the first trial from start to finish. All the evidence ignored by our reporters was brought out clearly in the days of the trial. The officers who were on trial held daily press conferences after court each day whereby the media was given daily reports of the trial. The reporters asked questions and received answers of each day’s developments. Things started to have a more balanced effect to whoever witnessed these daily events. It even seemed to some that the officers on trial were able to give the information of what happened twice each day; once in the courtroom and another opportunity outside of court each and every day. Later on, the outdoor press conferences were ordered to halt, for some strange unforeseen reason by someone in authority. But no retractions from earlier reports were brought out. The video of the Rodney King arrest continued to play over and over on the news. What I have stated above, and a mountain of information about this incident, and the trial are all detailed in the book published by Sgt. Stacy Koon, LAPD, one officer on trial and supervisor on the scene of this incident. The book is entitled “Presumed Guilty: The Tragedy of the Rodney King Affair”. I’ve read and reread this book several times, and can tell you I can’t remember a time I was so upset after the first time reading the first 50 pages of this consuming book. I couldn’t sleep at all that night. I couldn’t shake it off because this was a lie that I knew would last and affect our friends as well as our enemies out there. I was a young officer then with about 6 years on the job. Since that time, it has steadily grown worse for our officers on active duty. At least we thought we had SOME sort of support from our higher-ups which we had. But not nearly the extent we once had. So I wish the best of luck to all our officers serving our cities and towns in America. Do what you must and protect yourself at all times and especially during those so-called “harmless, routine” traffic stops. Call a back-up, or let your squad operator know where you are while conducting them. We did this every time ourselves. Regular practice in Chicago. Harold Hanley, Chicago PD, retiring Nov.17th, 2015. Really Harold?! Everyone on those officers involved with the King incident should have been imprisoned but our wonderful justice system gave allowed every one of those cops to retain their freedom. I apologize if I don’t shed a tear for their hardships. If you never heard but one side, get the book I mentioned in my previous post. Then you will see there was lawful justification for what happened. Law Enforcement always concoct, fabricate any type of legal justification they want. King was viciously beaten by police and there is no one with a rational thought in their mind would justify the officer’s actions. That incident, along with Boyd, Garner, Rice and others that police routinely defend as justified are the reason Police are no longer trusted today. LE fails accept responsibility for their failures within their departments..
Well, you certainly won’t get their side from the news media that convicted them. If you do as I suggested, you will see that plainly.